just steps away from my apartment. 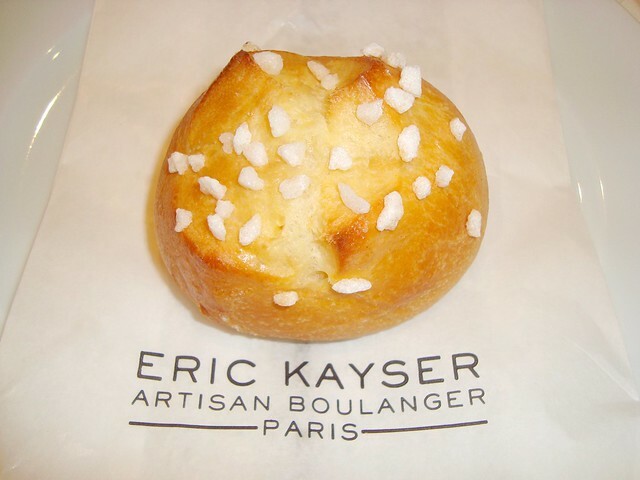 Both Jamie Cahill and Dorie Greenspan recommend a trip to this artisan boulangerie. impressive bread selection overshadows the sweet counter." writes Jamie Cahill in 'The Pâtisseries of Paris'. 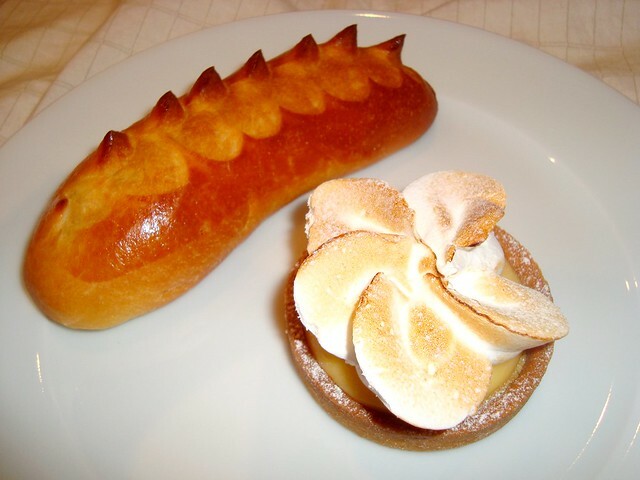 tarte Normande and brioche au sucre. 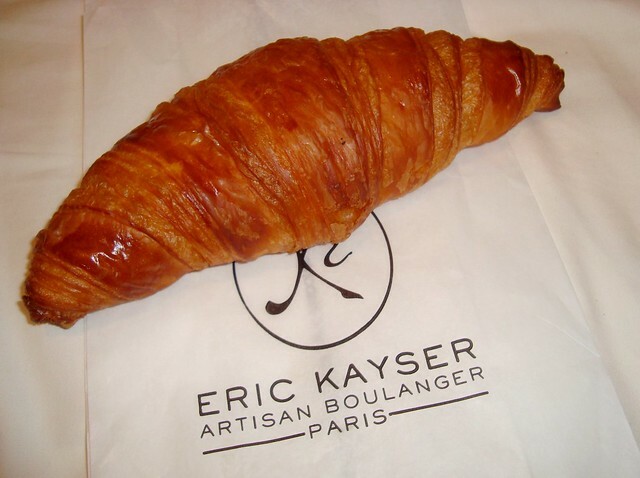 Yesterday I bought the latter and a croissant for le petit déjeuner. 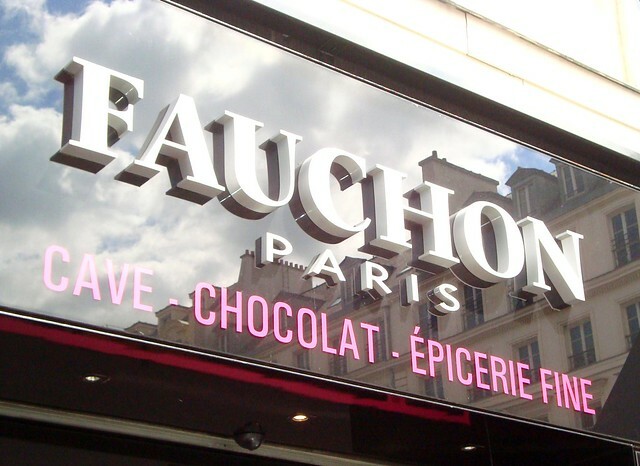 Late in the afternoon I stopped at Fauchon. 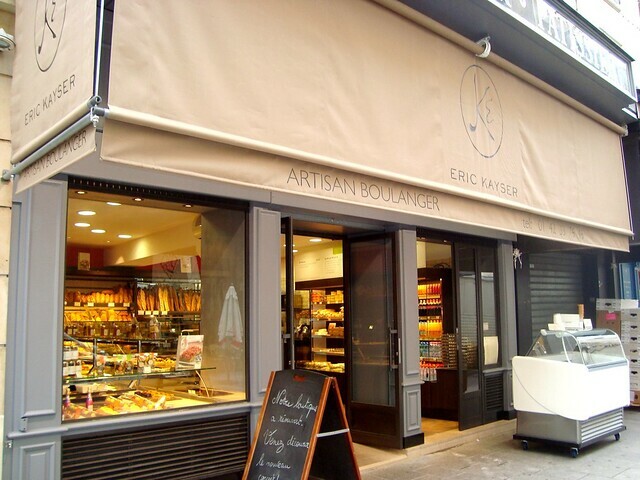 You may remember that I baked their coffee éclairs a while ago. 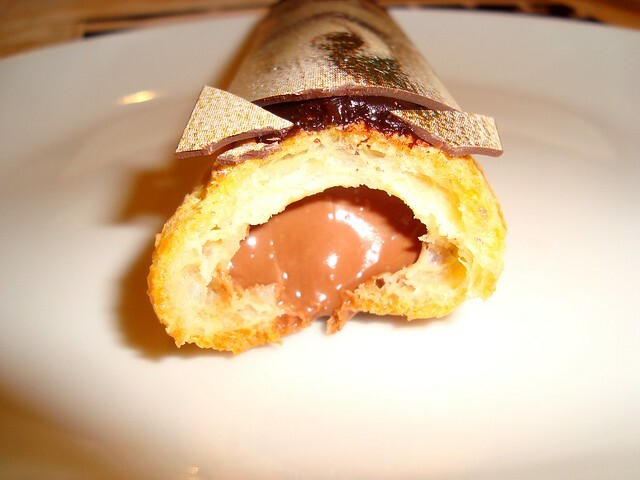 And today I enjoyed one of their iconic éclairs. 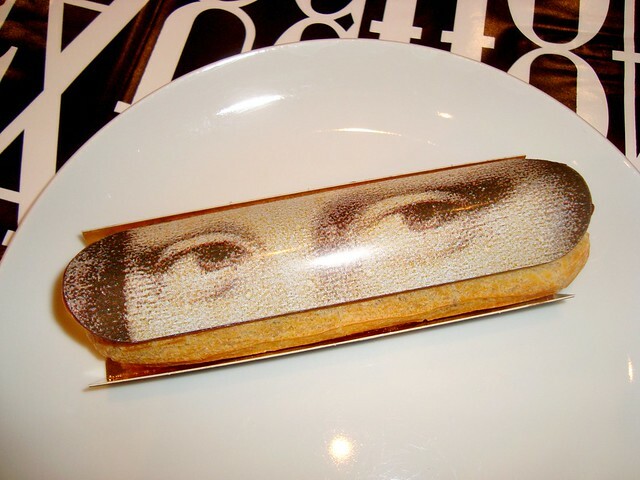 The Mona Lisa éclair, otherwise known as éclair Joconde. She was a delight. Inside and out! Six euros. I find it a bargain for a real Mona Lisa! the taking - and tasting." says Dorie Greenspan in 'Paris Sweets'. i adore them both! 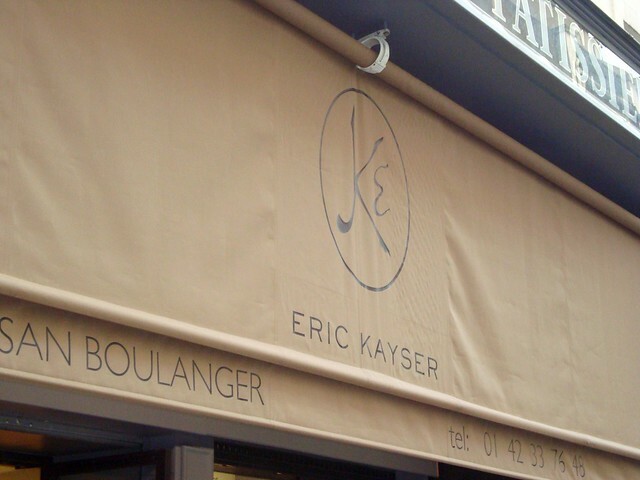 eric kayser is the best !! 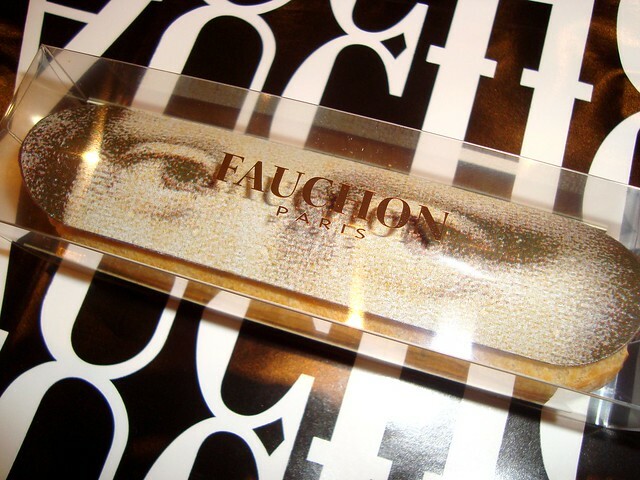 u can see a review on my blog! 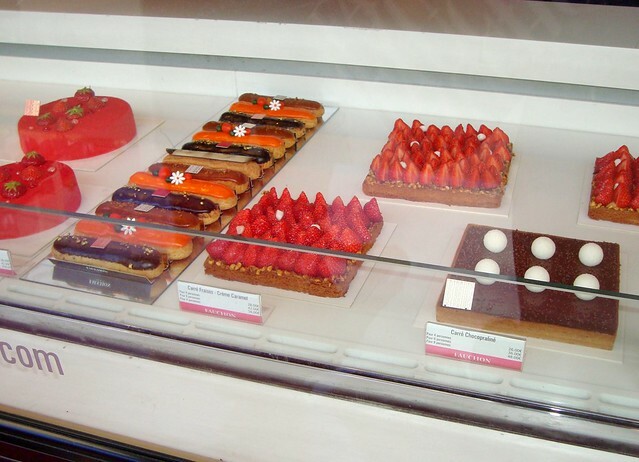 You make me want to visit Paris just so I can stuff my face with all of these delicous looking pastries and desserts.